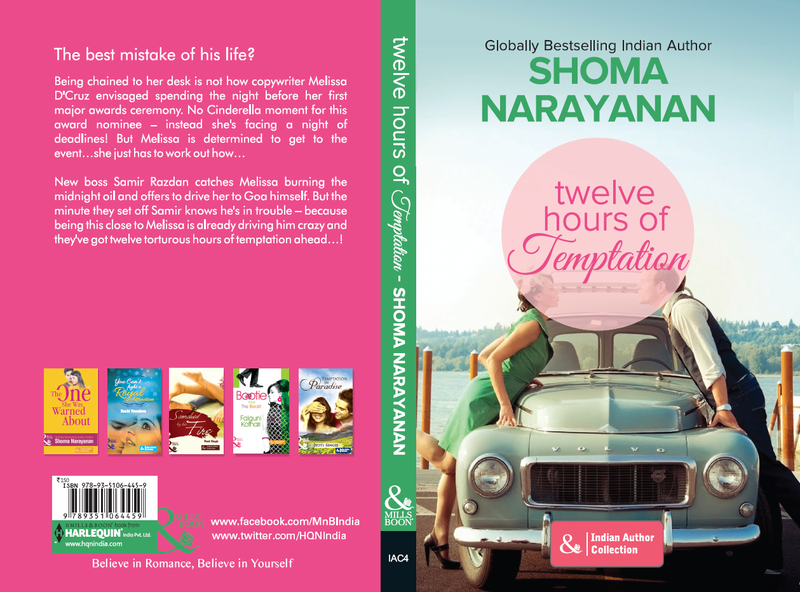 Today MBB welcomes Indian author and international Harlequin Mills and Boon author Shoma Narayanan. Her latest book TWELVE HOURS OF TEMPTATION is a lovely read and it's out right now. Can you share a short bio with the readers? 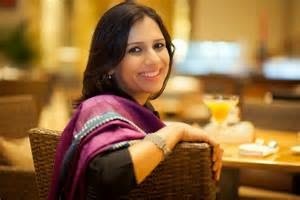 I grew up in Central India in a small, sleepy little town – I trained as an engineer, but took an MBA degree after my BE, and ended up in Mumbai working for a bank. I’ve been a banker for fifteen years now, a mom for eleven years, and an author for three. Always a serial hobbyist, I was perhaps more surprised than anyone else when my writing hobby turned into a serious second career. Mills and Boon India runs an annual writing contest, and I was thrilled to be a winner when I entered the contest some years ago. Even more exciting was being selected to be the first Indian writer to write for M&B globally – since then, I’ve written several books, and have loved every minute of it. “Twelve Hours of Temptation” is my fifth romance novel for Mills and Boon. What gave you the idea for your latest release? So anyway, I came up with the idea of a young, talented copywriter on her way to her first ever awards ceremony in the company of her super-hot boss. She’s got a phobia of flying, and the trains and buses are booked solid, so he offers her a place in his car. The attraction between them is instant, but they try t resist it for as long as they can…to find out what happens next, you’ll have to read the book! Can you sum up the plot in a Tweet-sized sentence? Melissa finds her new boss Samir incredibly attractive, but she’s determined to resist temptation – until she figures out that he’s quite as tempted as she is..
Maybe a linked series of books, or a full-length novel...I haven’t made any definite plans yet, but both of these are on the cards. Being chained to her desk is not how copywriter Melissa D'Cruz envisaged spending the night before her first major awards ceremony. No Cinderella moment for this award nominee—instead she's facing a night of deadlines! But Melissa is determined to get to the event…she just has to work out how…. New boss Samir Razdan catches Melissa burning the midnight oil and offers to drive her to the event himself. But the minute they set off Samir knows he's in trouble—because being this close to Melissa is already driving him crazy, and they've got twelve torturous hours of temptation ahead…! Melissa D'Cruz is the most endearing heroine I've read in an age. A talented young Goan girl who sometimes lets her heart rule her head, Melissa doesn't give a damn about what anyone thinks. She's a wizard with words and she can play the drums with just as much skill when she's called upon to do it. Samir Razdan is a Kashmiri Pandit who moves among the upper echelons of society. He's Melissa's boss and no one ever imagines that this pair can get it together - until they do! But can they last? In India, community is everything. Will your partner accept and love your culture? And more to the point - will your folks accept your partner? Melissa and Samir, a modern Indian couple, accept the challenge head on and let's see how they do it. This is a modern Indian romance with a strong message. A must for readers of romance as well as readers of contemporary Indian fiction. Great interview and review Maria. Congratulations. Inspiration is everywhere if we look for it, isn't it? Congratulations to Shoma! Sounds like an awesome book. And great interview Maria!